This arrangement contains white and purple lisianthus together with gypsophila. It's a kind gesture for every emotional funeral to offer your condolences. Excellent customer service from a company that values its customers. Five stars treatment. 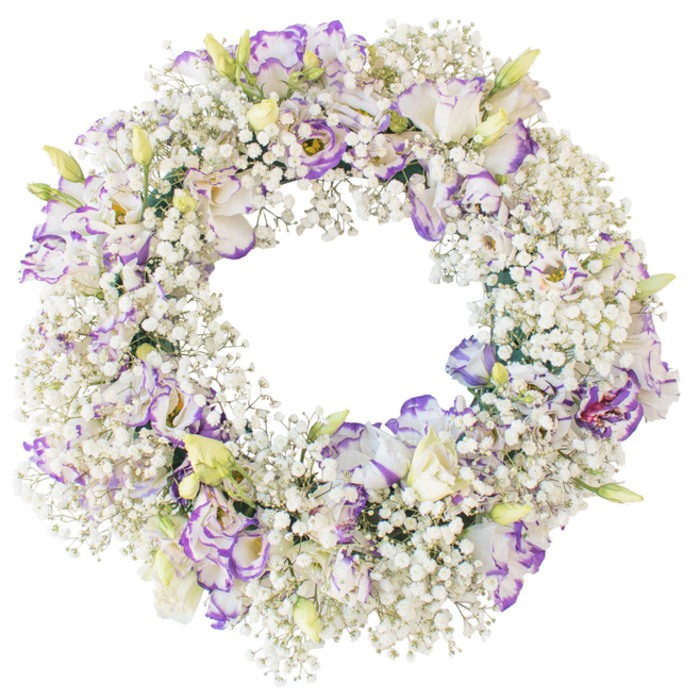 I'm very grateful for the beautiful wreath.I would definitely recommend. 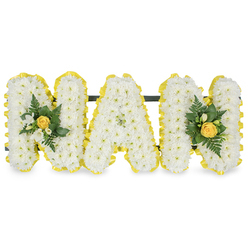 It wasn't easy to go through ordering flowers for a funeral... 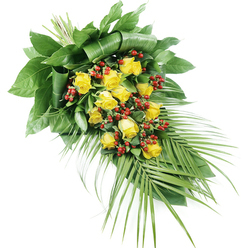 I was really upset and worried whether the flowers will arrive on time.This company provided excellent service and delivered exquisite arrangement. Many thanks. Ordered the flowers and really hoped they would look just as in the pictures from the website. I was nicely surprised that they arrived even more beautiful. 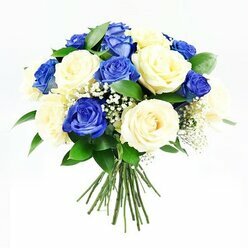 The funeral was in Liverpool and I ordered the flowers to be delivered a day earlier. The funeral director confirmed that the wreath was delivered safely. Your help is really appreciated! I have to say that I didn't expect to experience such a friendly service. 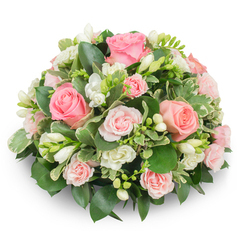 The company went way beyond my expectations to deliver fresh flowers on time. You have a customer for life now. Thank you. The flowers looked exactly as the ones pictured on the website. No scam at all. Thanks! 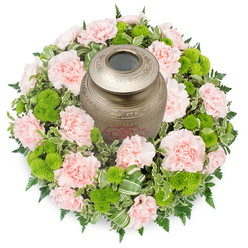 Needed to order funeral flowers with a next day delivery and found that company online. Called the support team and they responded very quickly and with wonderful attitude. 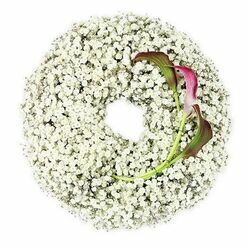 Got an outstanding wreath for a funeral. I was extremely pleased when I saw the flowers in person at the funeral home. The florist did an excellent job. Well worth the money!